John Thompson has recently retired after serving as Principal Viola in the Calgary Philharmonic Orchestra for over forty seasons. During that time, he performed as a soloist with the orchestra on many occasions, as well as pursuing an active chamber music career as a member of such ensembles as the Calgary Philharmonic String Quartet, the Alberta Chamber Players, and Kensington Sinfonia. He regularly played with visiting artists such as the Orford String Quartet, the Allegri String Quartet, Henri Temianka, Miriam Fried, the Bow Quartet, and many more. He has always had an enthusiasm for working with youth, as a teacher at the Mount Royal University Conservatory (MRUC) and the University of Calgary, and as a conductor with the Calgary Youth Orchestra and the Conservatory Strings, and as a chamber music coach in the Academy programme at MRUC. Many of his students have received honours at local, provincial, and national competitions, and a number of his students may be found performing with professional orchestras across North America. 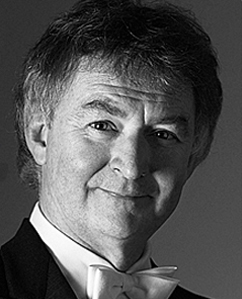 Mr. Thompson is regularly invited to adjudicate across Canada, and continues to be active as a violist in a variety of settings. He has been honoured with an Alberta Achievement Award and a Distinguished Teaching Award from Mount Royal University for his services to young musicians.